Welcome to the site of the Rice University Cheerleaders! We are excited that you show interest in the Rice University Cheer Squad! 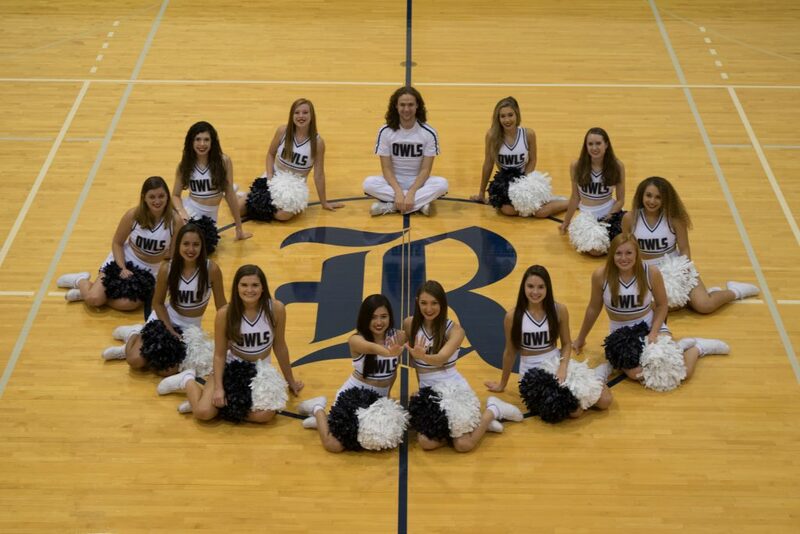 The Rice Cheerleaders support Owls athletic programs by cheering at volleyball, basketball, and football games. Rice Cheerleaders are an energetic group that generates crowd enthusiasm at both Rice athletic events and special events around the Houston community. The cheer squad also facilitates pep rallies and special appearances, including community service activities, alumni events, civic events, and charitable events in the Houston and greater Houston area. The Rice cheer program is a 12-16 co-ed squad. Thanks for visiting our website, and if you have any questions, please do not hesitate to contact us. Please be sure to follow us on Instagram! comes crashing through the skies. Drink more beer, Sammy leads the way.